Magnesium Chloride is recognised by many medical professionals as the "Master Magnesium Compound" for both dietary and topical uses, due to its high potency and efficient action. It improves the function of cells and the immune system, and helps protect cells from oxidative damage. Muscle pain, cramps and fatigue are all signs of magnesium deficiency. Magnesium enhances recovery from athletic activity or injuries. It reduces pain and inflammation while propagating quicker regeneration of tissues. Topical application of magnesium chloride increases flexibility, which helps avoid injury. It also increases strength and endurance. 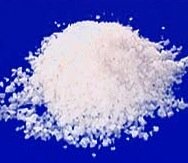 Topically applied, magnesium chloride is the most effective means of magnesium supplementation. Magnesium is essential for life and is a true cellular tonic that helps us heal from the inside out addressing as it does a broad range of fundamental physiological processes. One would not normally think that Magnesium (Mg) deficiency can paradoxically increase the risk of cancer, yet we will find that just as severe dehydration or asphyxiation can cause death, so can magnesium deficiency directly lead to cancer. When you consider that over 300 enzymes and ion transport require magnesium and that its role in fatty acid and phospholipids acid metabolism affects the permeability and stability of membranes, we can see that magnesium deficiency would lead to physiological decline in cells, thereby setting the stage for cancer.